Various art styles and art movements have emerged and fallen through the tide of time. If the mere mention of art styles makes you want to hide under your duvet, fret not. Here is a quick guide to the 9 common styles featured on our site. This style can be considered the modern form of graffiti. In the modern art context, spray paint and markers would come to mind. Street art is born from a subculture, and is often associated with other subcultures such as punk rock and hip hop. 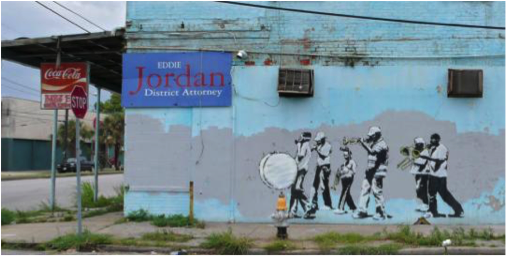 Featuring a famous piece below titled "The Marching Band" by Banksy. Like its name suggests, this style is all about keeping the essence of an object. It involves eliminating all other details and zooming in to a focal point that is interesting (both to the artist and the viewer). Simplicity at its finest, some would say. 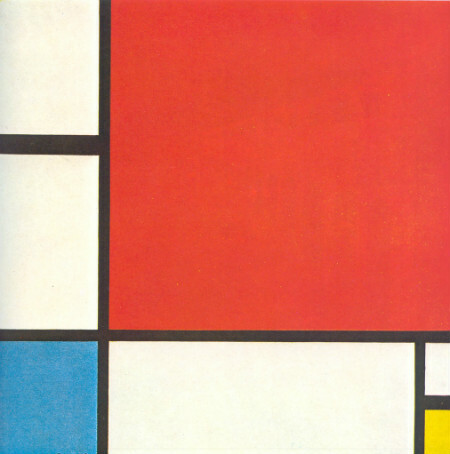 Here is Piet Mondrian's "Composition II in Red, Blue, and Yellow". As part of Medieval art, Gothic art pieces heighten spirituality. It is considered an exclusively religious art, and the details are portrayed in terms of light and shade. 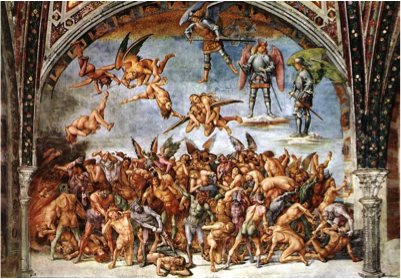 A famous piece in this genre is "The Damned Cast into Hell" by Luca Signorelli. Symbolism pieces tend to be against plain statements or direct descriptions, as the artists strongly believe that absolute truth can only be portrayed indirectly. Due to its non-direct nature, it often contains mystical elements, mythology, and dream imagery. “To depict not the thing but the effect it produces” – that is the main aim. 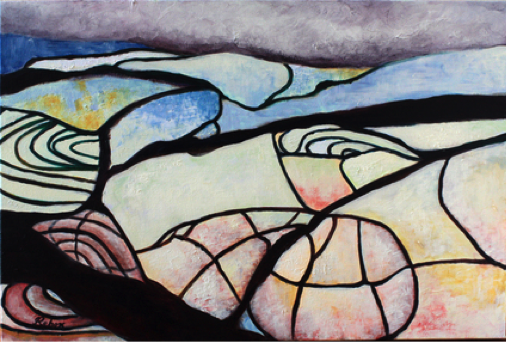 Featured below is "The Core" by one of our own artists, Max Grünfeld. Probably the most common art style known, abstract art has two main subsections - Geometric abstraction and Gestural Abstraction. Let’s look at Geometric abstraction first. Geometric forms like lines and shapes are used to create the art, where the focus is not on the technique of painting, but more so on the final piece. 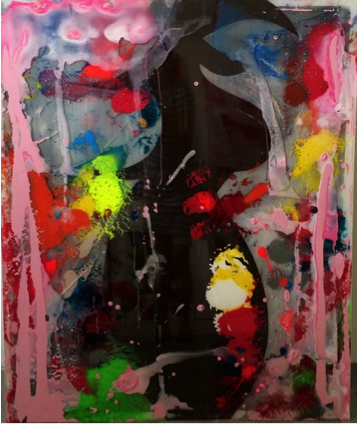 Featuring an amazing piece by one of the artists on our site titled “Flow VI.” You can also view other pieces done by Rebecca Nie here. Gestural Abstraction (aka “Action Painting”) uses energetic techniques (dripping, dabbing, smearing, flinging paint even) to show spontaneity in painting, instead of being carefully applied. The main emphasis is on the physical process of painting, rather than the final piece itself. Due to its randomness, no particular emotional feeling is portrayed. Here is Number 8 by Jackson Pollock, one of the leaders behind the abstract expressionist movement. “The Shadow Walks” (below), by Deusa Blumke, is another example of action painting. This style literally involves studying a photograph and trying to replicate it as realistically as possible in another medium. These mediums include painting, drawing and other graphic representations. The main aim is to reclaim the value of an image by replicating it. 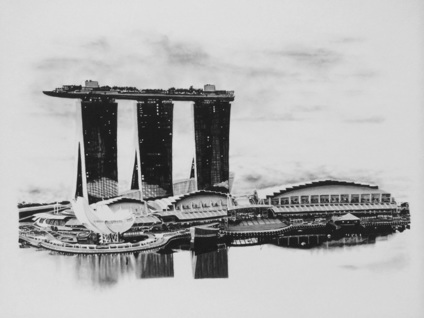 Our very own Justin Lim did this stunning piece using metallic gel pens. One of the later art styles to have developed is Pop Art, which employs images of popular culture in art. Inspiration can come from anywhere really, from consumer goods to television, film, cartoons and even comic books. Vibrant block colors are used to give a modern feel, coupled with simple compositions in order to be visually appeal to the general public. The pieces elicit an instant meaning as people and objects are presented in bright, often highly contrasting colors. 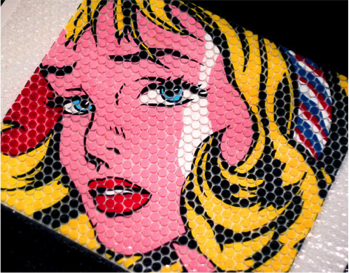 Pop art is said to have been born out of the intention to narrow the divide between commercial arts and the fine arts. A household name in this genre is Andy Warhol who did the famous painting of the Campbell soup can. “The Plastic Issue” (below) is a unique pop art piece done on bubble wrap by Singaporean artist Alicia Wee. Do check out her other bubble wrap pieces that are available for sale. The underlying vision of this style is for the artist to be able to capture the image of an object as someone would see it if they just caught a glimpse of it. Vibrant light colors are used to paint scenes of everyday life as seen by the naked eye. It is in this style that for the first time, nature was considered a subject in itself. Impressionist artists apply paint with quick, spontaneous brush strokes and are not concerned with meticulous finishes. Emphasis is placed on the way the light hits the colors. Artists in this genre love painting en plein fair (aka outdoors) to allow the perfect capturing of fleeting moments of light and color. 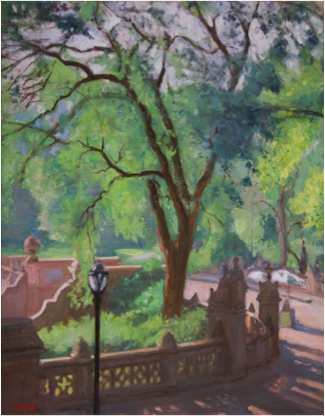 Featuring “Bethesda Terrace, Central Park” by Walter Mosely. In this genre, pieces are made up of images created by the unconscious mind with no intention to make it logically sound. To create this subconscious creativity, techniques like dreams and hallucinations were used, or anything that circumvented the usual "rational" thought processes involved in creating art. 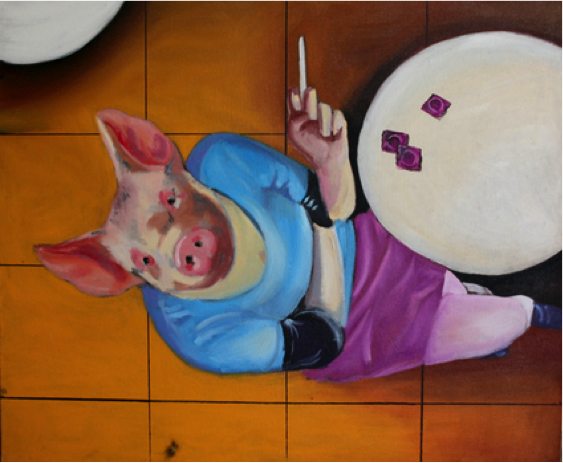 Figurative surrealism has representations of human and/or animal figures, and Abstract surrealism covers everything else. The common theme is similar - detaching ordinary objects from their normal context in order to create a eye-catching and compelling image. I hope you've enjoyed this quick and easy guide to art styles. Do check out our community of talented artists from around the world.